When it comes to the modern world, you have to prepare high school students for college by getting them ready as early as possible. It seems like it’s almost impossible to make it in this world if you have not chosen a career path and continued education past high school in order to get there. So what are they supposed to do in order to prepare for college? 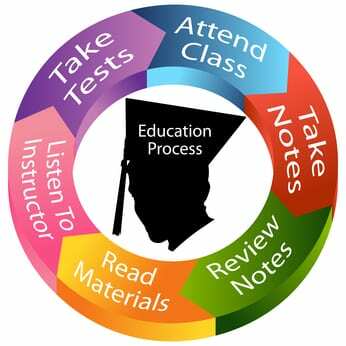 One thing the students must do is to make sure they take college preparatory exams. For most of them, this is going to be the ACT or SAT exams. Now, some colleges require SAT score, while some others prefer that students submit ACT scores instead. To prepare high school students for college exams must be taken. And, you want to make sure that they are taken well ahead of time. Otherwise, scores are not submitted on time. Then there is the other alternative, which still in most people’s opinions should lead to college. Students can take the ASVAB test, which gives them scores that can get them nice jobs within the military branches. Students can then find their way out of high school and end up getting free money for college and going onto the career of their choice. This is a big deal for some students because they might otherwise have to rely on financial aid and student loans. This gives them a way to start a career post high school and then get into college that way. Another thing that teachers can prepare high school students for is the fact that they need to think of what scholarships are available. Students are often told to start applying for schools about a year ahead of time. And, they are told to apply for scholarships, but it should be a part of classroom activity. They should be made to take time out of their day. The thing is, this alone can be educational activity because many times essays are required. The fact that essays are required brings up another point concerning what should be done. In order to prepare high school students for college level papers should be required. Often times, teachers do not require many papers to be written by their students anymore. This is not good because once the students get into college, papers are required on many different levels and for many classes. To prepare high school students for college classes should also be taken during high school whenever possible. In years past, this was a growing trend, and now this is almost an expectancy. With the growing cost of tuition, students are looking to do everything they can in order offset that cost. Therefore, one way to do this is dual credit classes that allow students to exit high school with already having college credits to their name. As you can see, students should be preparing for college in every way possible, and those people directing the students should be aware of everything that needs to be done. This includes teachers, parents, peers and everyone else involved. Find out more about the ASVAB test. Read how to get a great SAT score here. Know the difference between SAT and ACT test.